Scott J. Fuerst has a diverse legal real estate background which has evolved over the years into a broad based transactional commercial real estate practice from an early concentration in residential, zoning, condominium and land use matters. Mr. Fuerst has developed several sub-specialties within this commercial real estate practice including the representation of landlords and tenants in office building, shopping center and warehouse leasing, the acquisition and sale of apartment complexes, office buildings, hotels and retail centers, negotiation of contracts with contractors and architects, the financing through industrial development bonds of manufacturing facilities for such varied uses as graphic printing, textured concrete blocks, chemicals and motion picture production and the financing of multifamily residential projects through county and state housing authorities. 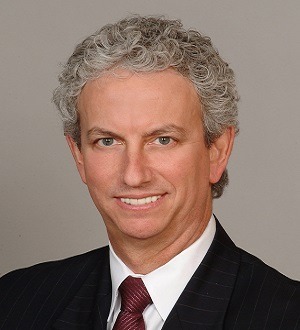 Mr. Fuerst regularly serves as Florida counsel for out of state based lenders and represents national retailers and investors in acquisition, leasing and development opportunities throughout Florida. He has also had extensive experience representing developers and lenders in restructuring problem loans, deeds in lieu of foreclosure and real estate based financial planning. These transactions have included multiple lender simultaneous negotiation involving diverse client assets such as yacht basins, apartment complexes, hotels, office buildings and self-storage warehouse facilities. Mr. Fuerst is also active in the representation of individuals and entities involved with animal rights issues and has lectured and appeared on radio and television shows to discuss this topic. He is a member of the advisory board of the Animal Rights Foundation of Florida. He served for many years as an officer and director of the Easter Seal Society of Broward County.